Get better performances during recording sessions by sending clearer headphones monitor mixes to as many as 6 musicians and vocalists at the same time. A less-than-ideal headphone mix is often what separates an average recorded performance from an excellent one. 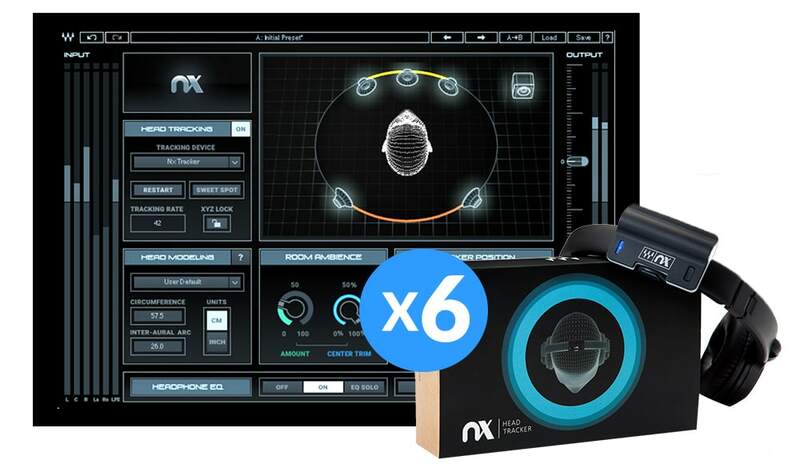 Nx removes this obstacle by offering up to six musicians (or five musicians plus one engineer) the clearest, most detailed headphone monitoring experience available. 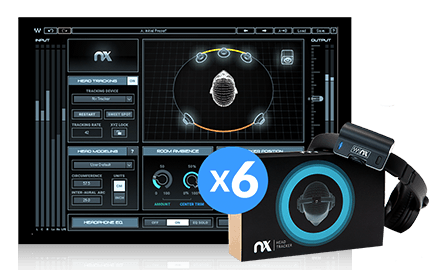 Nx Virtual Mix Room is a virtual monitoring plugin that recreates the acoustics of a high-end studio inside any pair of headphones. Combined with the Nx Head Tracker, Nx delivers headphone mixes that spread across the full three-dimensional audio spectrum, like when you are listening to speakers in a room. The result is a better recording experience, as the musicians enjoy a more open, uncongested mix, with more clarity and separation. Vocalists can hear their own pitch better, and all musicians can better hear their instruments in relation to the rest of the mix, enabling them to lock better with the other musicians without feeling restricted by their headphones. With more detail and depth than ever on headphones, the Nx pack is the optimal solution for musicians and engineers looking for a more musical recording experience.